The handmade leather travel bag is designed to accommodate some daily or travel essentials, and it also fits 9.7″ iPad Pro or iPad Air. Like the design? Let’s continue checking. 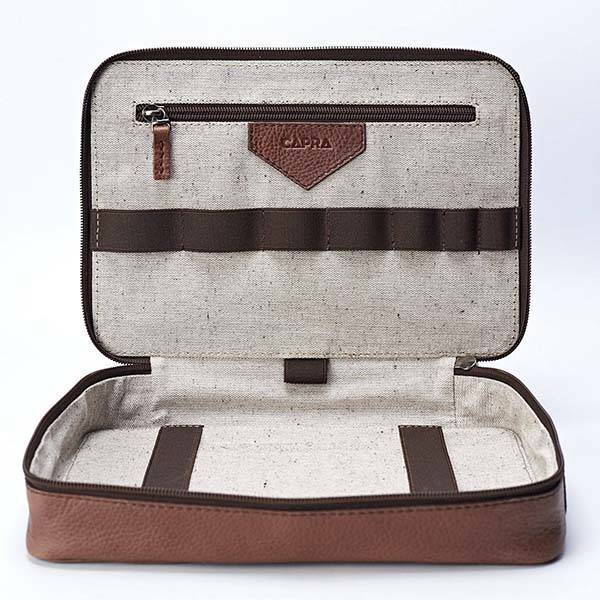 This is a well-crafted essential travel bag handcrafted by CapraLeather, a small handicraft studio from Colombia. The bag measures 10.6 x 2 x 7.3 inches. As we can see from the images, it shows off a classic and elegant appearance design, and it’s made from full grain leather, which delivers a durable construction and luxurious aesthetics. Meanwhile, the meticulous stitching not only provides enhanced durability, but also complements to the classic design. The main compartment can be used to hold those frequently used small items like power bank, charging cable, earbuds, and more, and it’s big enough to accommodate your 9.7″ iPad Pro or iPad Air. Furthermore, a custom organizer is designed to firmly keeps your pens, cables, earbuds and other things in place, and a zippered pocket holds some important belongings like passport, ID card, and more. In addition, the full open design allows you to easily access to your items. The handmade leather essential travel bag is priced at $85 USD. If you’re interested, jump to Etsy for its more details. 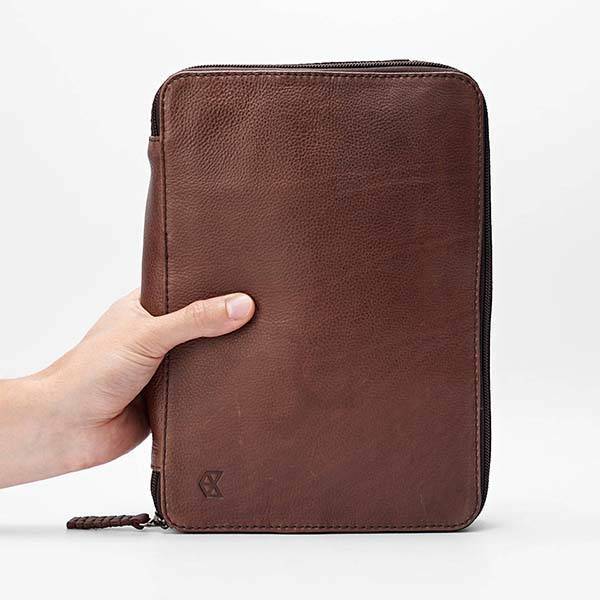 BTW, don’t miss Mod Tablet 3 leather carrying case and more cool related gadgets by following tags.